I'm having a party with Gabi, Nadia, Ty, Nicolette, Christina and Alissa! Here are some things you need to know! 1. Gabi, Nadia, Ty, Nicolette, Christina, Alissa and myself will be selling gently used and new items from our personal closets. Please do not bring clothes to sell, we will be selling our things so if you'd like to come check out the party and shop, join us! 5. 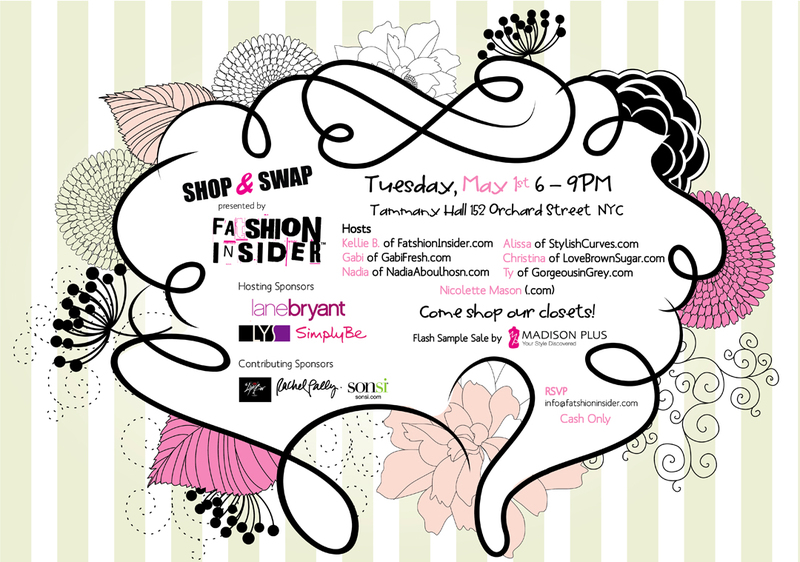 Lane Bryant, Kmart's LYS and Simply Be USA will be on site previewing amazing fashion. Get a first look! 6. Incredible giveaways from The Lip Bar, Sonsi, Sally Hansen and more! 7. One mind blowing VIP gift bag will be given away day after the event on my blog...what's in it? VIP Bag Include - $100 gift card from Kmart, $200 from Rachel Pally and lots more!